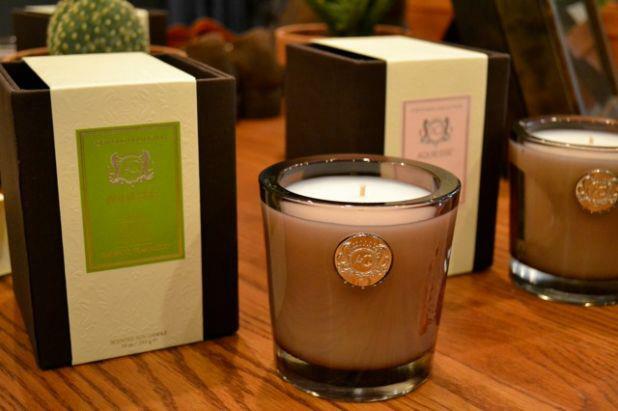 We are proud to be the new exclusive dealer of Aquiesse Home Fragrance in Laguna Beach. Aquiesse has quickly become a leader in the home fragrance area, with an innovative, classic and timeless product line recognized for exceptional quality and value. Coveted by the most discerning fragrance connoisseurs, chic shoppers and celebrities alike, Aquiesse is distinguished in its mastery of exquisite fragrance compositions inspired by nature. From the beautiful cocoa brown fabric covered boxes to the array of styles and fragrances, this is a line we're proud to carry at Stephen Frank and look forward to a long relationship with the developers of this wonderful line. If you're in Laguna Beach on Saturday, July 14, please join us from 11am to 2pm when Joni Emily will be on hand to talk about the candles and diffusers available from Aquiesse. As an added bonus, we'll be offering a special travel tin with a minimum $45 purchase.